Water crisis is a reality. From water scarcity to drinking water contaminated with faeces, water crisis has many faces. Keeping with the spirit of being a responsible citizen, the preschool children of Kangaroo Kids, Wadala are hosting a rally on January 25, 2019 to create awareness about water conservation among everyone. 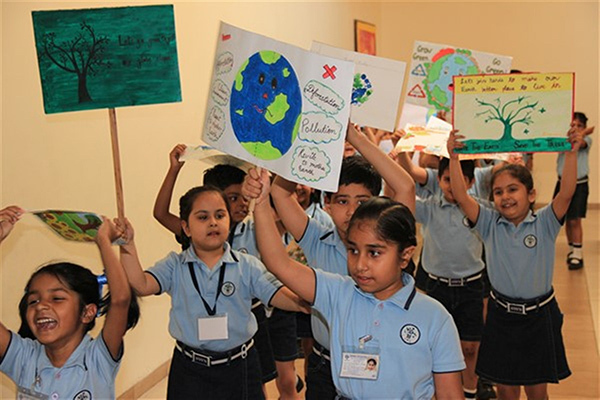 The little ones will march from the school campus and will go around the streets of the school locality with the slogans “Water is Precious”, “Save Water Save Life” carrying placards, emphasising on the need to preserve water. The children will reiterate the fact that we all need to make a conscious effort to ‘Save our planet Earth by saving water’. With each passing year, we are facing looming warnings with calamities such as droughts, floods or water pollution. Climatic and environmental changes and resource scarcity are the biggest threats that the world is facing today.